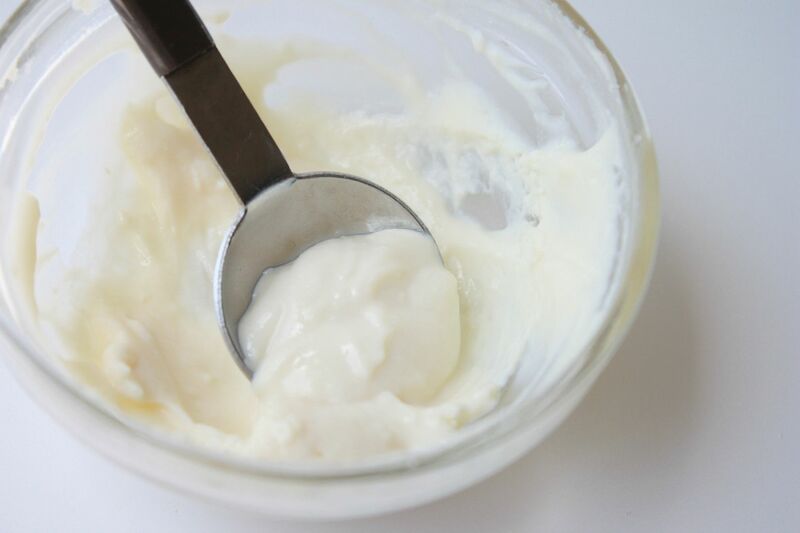 Lactic acid treatments in a spa can be pretty pricey and since not everyone has the time or budget to fit in a facial I am going to share a super easy and cost effective diy version. Powdered milk is a natural source of lactic acid and when applied to the skin it is very effective in smoothing, toning and tightening the skin. For those of you who have large pores (I do!) this mask is a must! And when paired with apple cider vinegar (another natural alpha hydroxy acid) the results are pretty amazing. 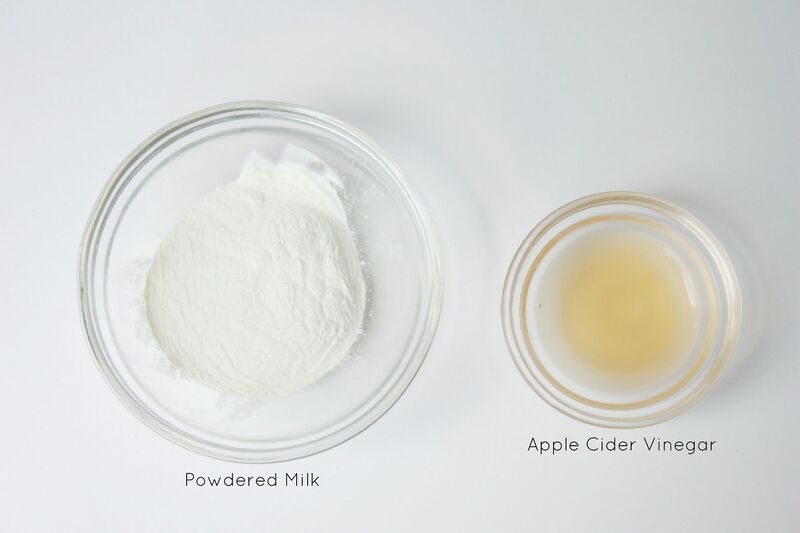 Put the powdered milk into a small mixing bowl and add a tiny bit of apple cider vinegar until you have a smooth paste. If it is too watery add more powdered milk until you have a good consistency. Apply the mask evenly to a clean face with either your fingers or a mask brush (you can find at beauty store). Remove with a soft facial cloth and luke warm water. Follow up with a moisturizer and sunscreen if you plan on going outside. * It is normal to experience a little stinging and post redness from this mask. And here I am looking super creepy wearing the mask. 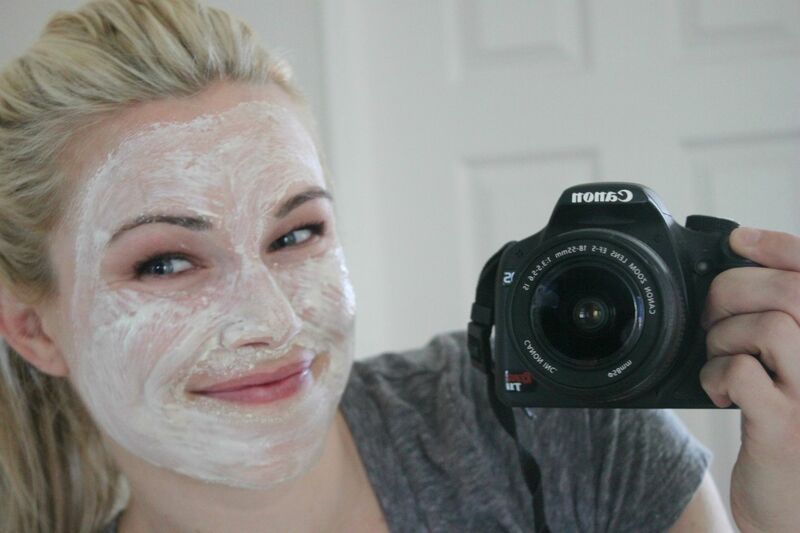 I love the way this mask instantly tightens my skin, shrinks my pores and gives me that just had a facial "glow." If you try this out please come back and let me know what you think! If you have any questions regarding this treatment feel free to leave them in the comment section and I will do my best to answer. You are too cute friend!! What a great post! xo! Wow..amazing..love your skin care tips !! man too bad i don't have powdered milk in my cupboard right now or else i would put this mask on my face right now. thanks for sharing this! Any special type of powdered milk? For instance can you use instant nonfat dry milk? Thanks!! Love the "super creepy" shot. Haha. So safe for pregnancy you think? I love your skincare tips! I just finished washing this off my face. My face is so soft now and pores were definitely diminished. This is going in my permanent rotation now! It's so easy and simple. Also to the comment above, I used instant nonfat dry milk. Cassie- I used powdered nonfat. I tried this on my face and now it feels and looks amazing! How often do you suggest using this mask? Just tried this and it is so fantastic! Thanks for sharing. How often do you recommend using this mask? I just finished washing off my Lactic Acid mask. I might have left it too long (30mins)I got distracted. Next time I'll set the timer. I look flushed and face feels a little warm. But other than that it feels nice. I used a toner right after and that helped. Pores do look smaller and I'm really liking my rosey complexion. Just hope it doesn't get rosier! Can't wait to see my face in the morning! I have to come back to let you know that I TOTALLY LOVE the mask! I love to try different masks made from things that I have in the kitchen, I have quite a few in my database, and by far this is becoming my favorite. Thank you very much for sharing it. I love your blog!!! I used this mask this morning. Aside from scaring the neighbors when I went outside to pick raspberries, the results were wonderful! As my 50th birthday rapidly approaches, I'm always looking for quick skin pick me ups. This one is a winner! Have this mask on. I am going to use this a few times a week since its super easy and natural. I was looking online for an alpha hydroxy cream or serum for my very dry skin. I then decided to look for something natural that I can make myself and found your site. Thanks so much. I will keep you posted on how this works out for me. I just did this. My skin feels great. But like others and you said, it definitely flushes the face. Thankfully my mineral sunscreen that always makes me look pale, now makes me look even toned. My eyes kept watering while it was drying and I kept it a good distance from my eyes, but I did use braggs organic with mother ACV which is stronger than other kinds. Can I know the advantages of this mask and how many times a week should I use it? Amber- benefits are listed above and you can do this 2-3 times per week. It sound really good for skin care, as we know that lots of lactic acid benefits which are really good for beauty care. I think lactic acid also best for intimate wash.I’ll definitely try it. can you add this to a body scrub and how much would you suggest?? I really hope this string is still active. I have keratin build up (which looks like acne, as well as having small break outs over my chin and cheeks - I am 22) and read that lactic acid helps remove excess... However, I have very sensitive skin and apprehensive to trying something new especially a DIY type situation. Do you have any tips for a first time user? Lactic acid is also known for treating age spots which are spots caused by excess melanin created by your skin during sun exposure. Lactic acid may rid or lighten the color of age/liver/sun spots. Supposedly you use whole milk, you saturate the affected area ie. Hands, face using a cotton ball. Leave on skin for 10-15mins then rinse off. Do this twice a day until you achieve your desired results. I think this recipe should work, probably better than just whole milk because it has ACV and lactic acid combined together .ACV is used in other age spot removing recipes. I will try this one sounds more promising. Thank You for sharing.